A Chinese energy company has just finished building a massive a 250-acre solar farm in the shape of a panda. The first phase of the solar power plant was recently completed, adding 50MW (of the total 100MW) to the electricity grid in Datong, China. The panda shaped plant was proposed in May of 2016 by Panda Green Energy’s largest shareholder, China Merchants New Energy. Panda Green Energy used both darker monocrystalline silicon and lighter thin film cells. 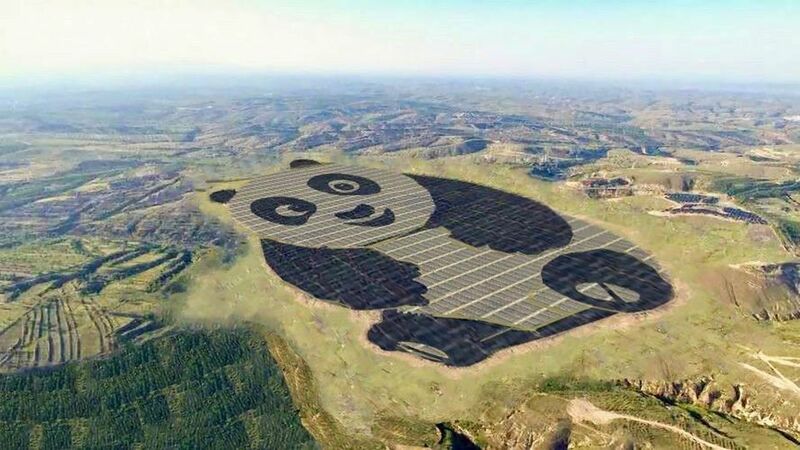 This allowed the energy company to stagger the solar panels in an array that mimics the colouring and shape of a giant panda. This is just the first of 100 panda-shaped solar plants planned across China and Asia in the coming years. This entry was posted in NEWS and tagged Solar Energy. Bookmark the permalink.